Biometric Border Control in 2015: Is it Making Our World More Secure? Biometric border control systems are being deployed all around the world to improve security and enhance the travel experience. Top Interpol officials have said that governments must routinely use biometrics for identification to cross check databases of known criminals and terrorists to ensure the safety of travelers. Speaking in Singapore at an Interpol conference, director of operational police support Michael O’Connell said criminals are still capable of exploiting cracks and loopholes in most travel security systems. Today we are going to take a look at methods recently used to implement biometric technology for border control in an effort to make our world more secure. Las Vegas’ McCarran International Airport has deployed biometric automated passport control (APC) kiosks for international travelers. Rosemary Vassiliadis, Clark County’s aviation director believes that the kiosks will boost travel and tourism by improving airport security for international arrivals. In 2015, Australia’s minister for Immigration and Border Protection introduced The Migration Amendment (Strengthening Biometrics Integrity) Bill. The bill will create a simplified plan to collect biometrics, particularly fingerprints, to tackle the threat of Australians seeking to travel overseas to fight alongside terrorists. The European Union is currently implementing a “Smart Border” system which will require all Non-EU travelers to provide their biometrics upon entry. The biometric border control system will be gradually implemented in land, sea, and air borders of all EU countries. 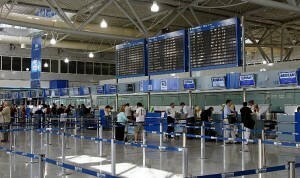 After implementation, travelling to the EU will become more secure and convenient for Non-EU travelers. U.S. President Barack Obama directed his transportation secretary to develop an improved international arrival experience as a follow up to his 2012 announcement of the 100 million visitor goal. As a result Washington has announced plans to boost the number of biometrics-backed automated passport control kiosks at busy airports as part of several measures to make arriving at the country’s airports a safer and more convenient experience. By the summer of 2015 U.S. Homeland Security has announced they will be implementing biometric services for U.S. Customs and Border Patrol. The system will be capable of sharing biometric templates with the FBI database and provides a complete revamp of the “IDENT” biometric system. After full implementation, the system will play an important role in eliminating illegal border trespassing and terrorism. In 2015, the Oman government has announced plans to launch a biometric border control system. The biometric border control system will be deployed at 28 airports, seaports, and land border crossings across Oman, as well as more than 15 regional offices and more than 50 Omani embassies and consulates located across the world. The Iraqi Kurdistan Province of Sulaymaniyah currently uses the M2SYS AFIS/ABIS biometric identification system to protect their borders from insurgents and terrorists. With over one million registrants and 100 terminal checkpoints with plans for future project expansion to 400 terminal checkpoints, the biometric border control system is in place to protect citizens from terrorists entering their Province in a highly volatile region of the world. The Government of Sulaymaniyah Province uses M2SYS fingerprint biometric technology to automate border control check in, boost security, increase efficiencies by eliminating paperwork, and enhance staff productivity. Each year, more are more countries are adopting biometric technology to accurately and securely identify their own citizens as well as foreign travelers at border crossings across the globe. Biometric systems are not only providing quick and convenient traveler identification, but also securing the border from terrorist, criminal, and illegal trespasser entrance or exit to help make our world a more secure place to live. Not sure where to start for more information on a biometric border control solution? 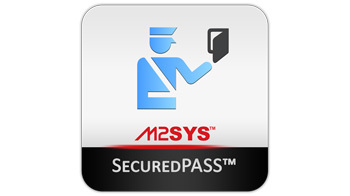 Contact M2SYS today.